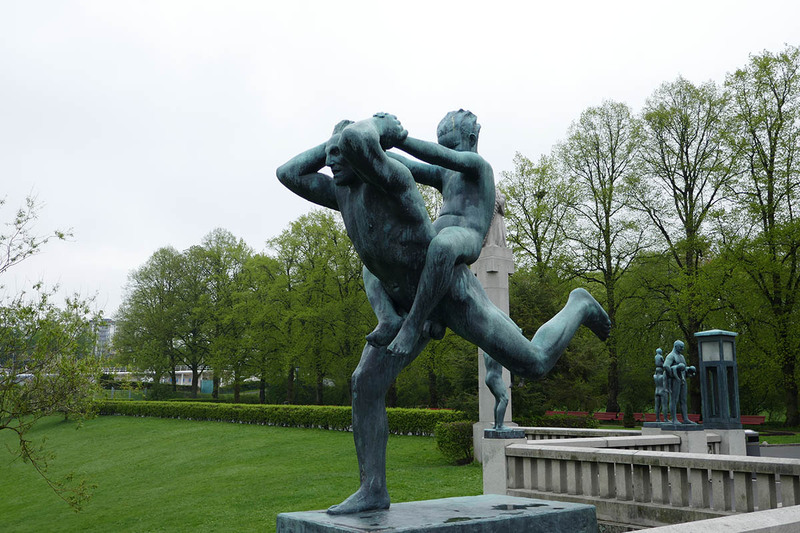 Frogner Park is the largest public park in Oslo, the capital city of Norway. 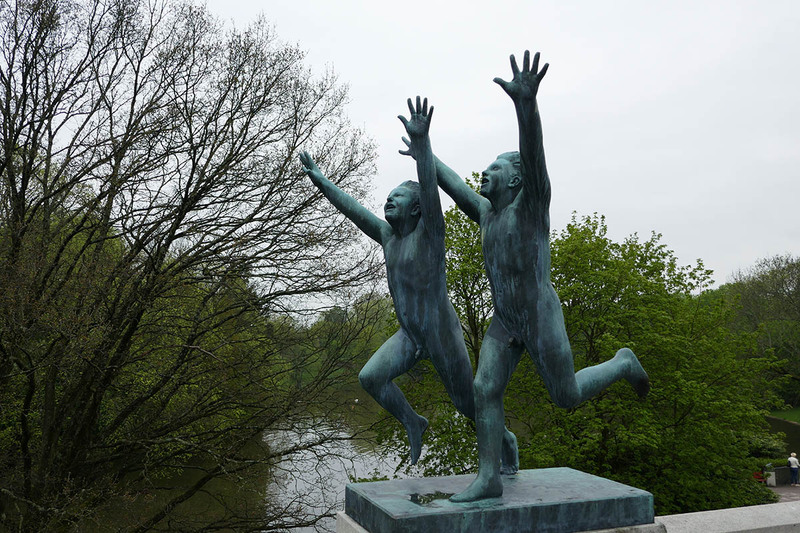 Vigeland Sculpture Park is an 80-acre sculpture park located within this park, and best of all is that entry is free, and it is open 24 hours a day. 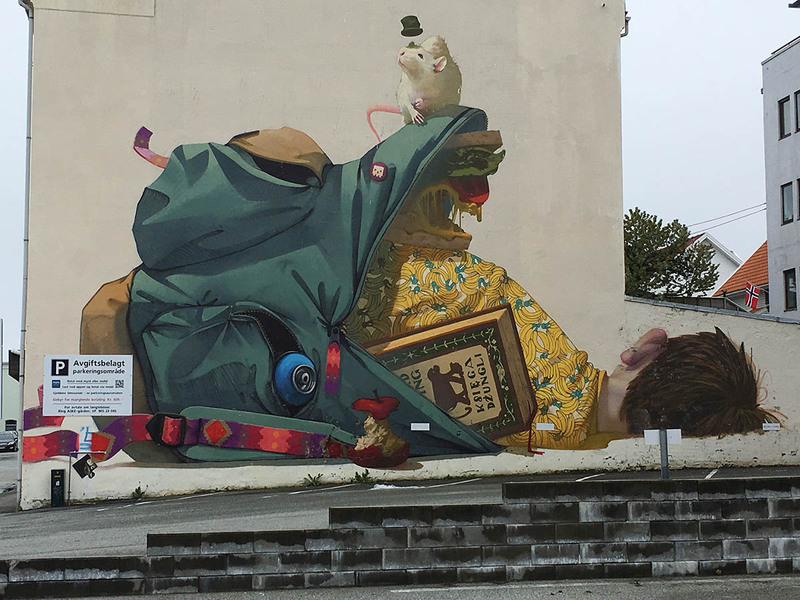 I know Australia is expensive, but Norway is ridiculous. 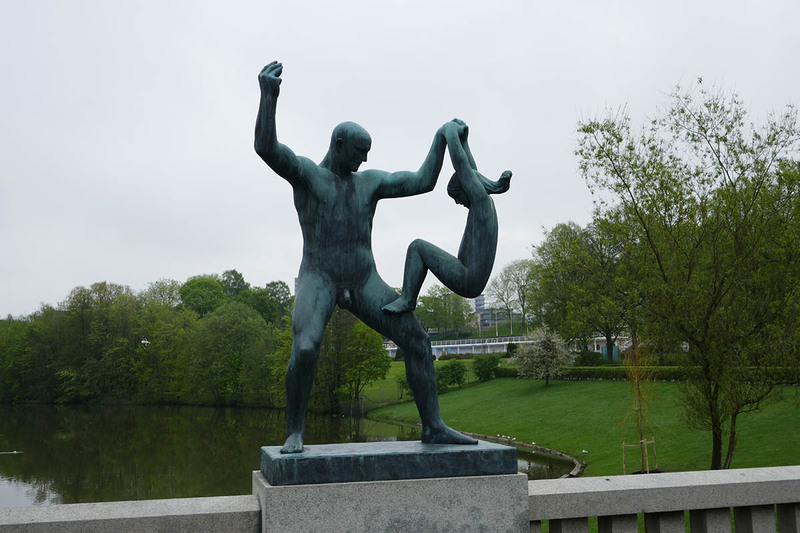 I know from personal experience that Switzerland is much like Australia, but Norway in our opinion beat them both. 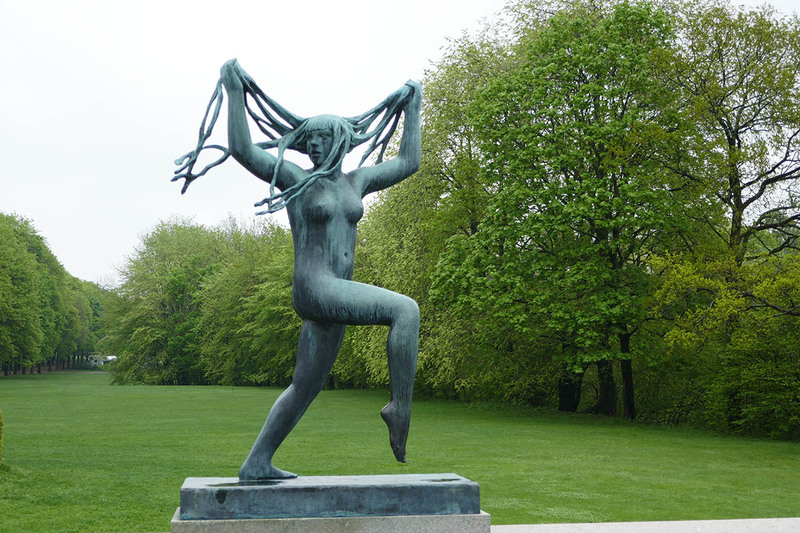 While Singapore is not cheap either, for us, it was Norway and consequently Oslo that blew our minds. 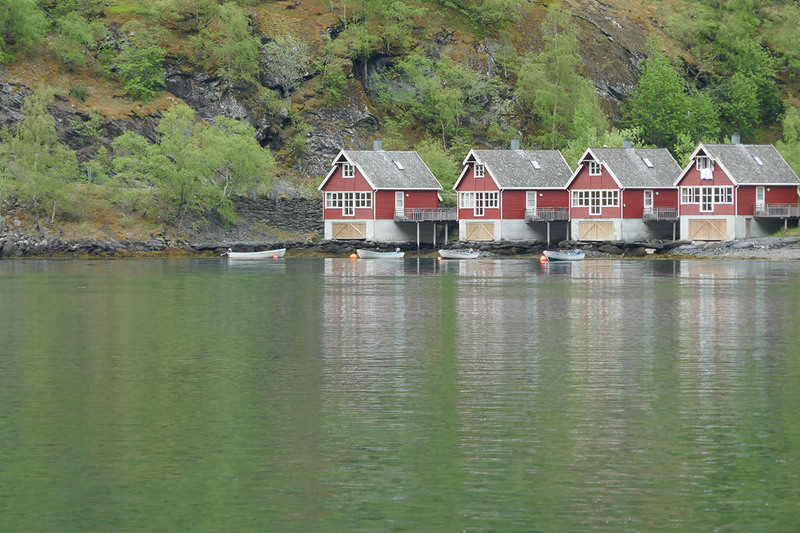 This was one of the reasons we decided to extend our cruise to include visiting Flam, Stavanger, Kristiansand, and Oslo in Norway. It gave us what could be the cheapest hotel room in the country, and the meals were included in the price of the cruise. We looked at many menus throughout Norway, and if you don’t mind paying $35US for a sandwich and $20US for a small glass of beer, then you are better than us. 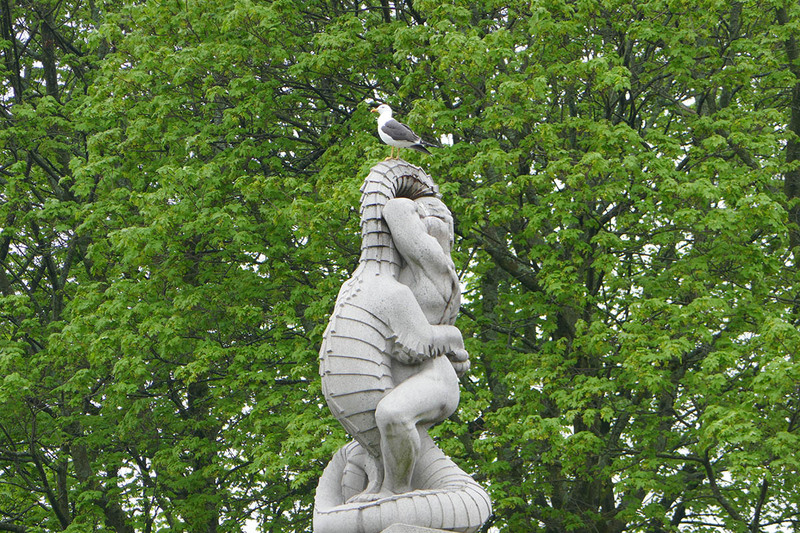 Heaven help what has happened since then, but suffice to say you need to be aware that finding cheap or free places like Vigeland Park is a godsend. 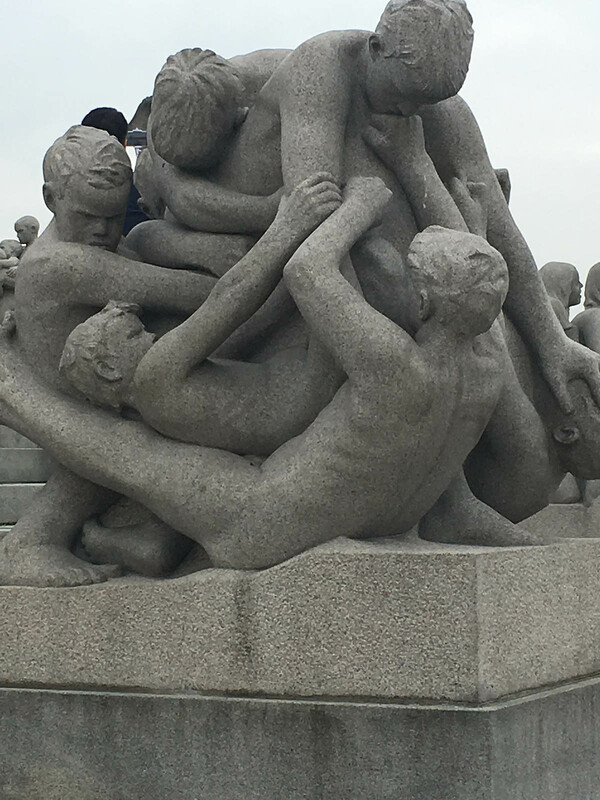 Vigeland Park in Oslo was completed between 1939 and 1949, and all the statues are centered on the concept of the Human Condition, depicting relationships between men and women, adults and children. 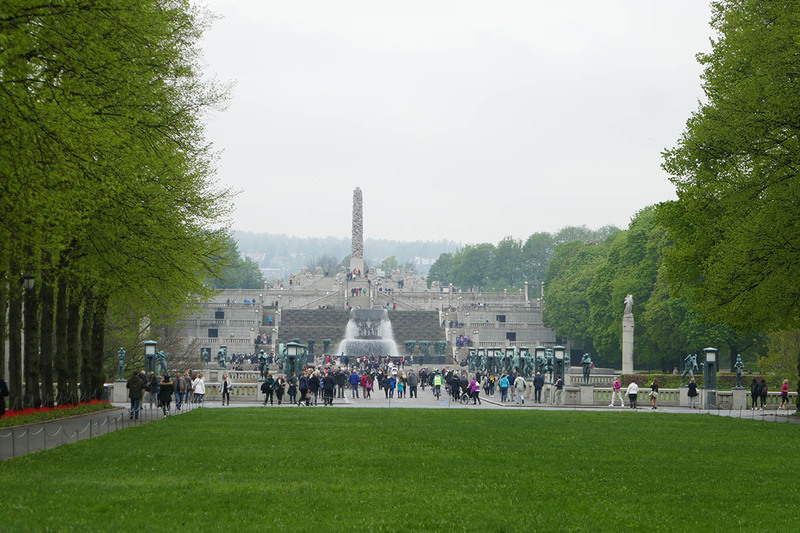 The City of Oslo was a main funding contributor to the park. 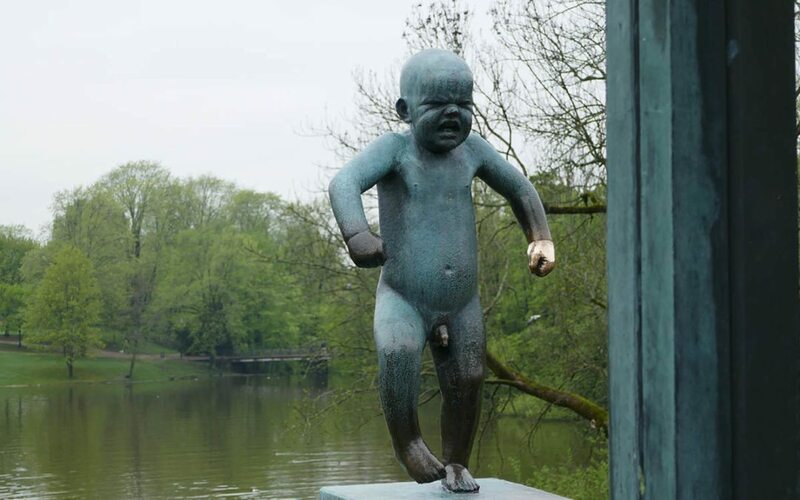 All the sculptures were modeled in clay, and professional artisans did the carving in granite and bronze. 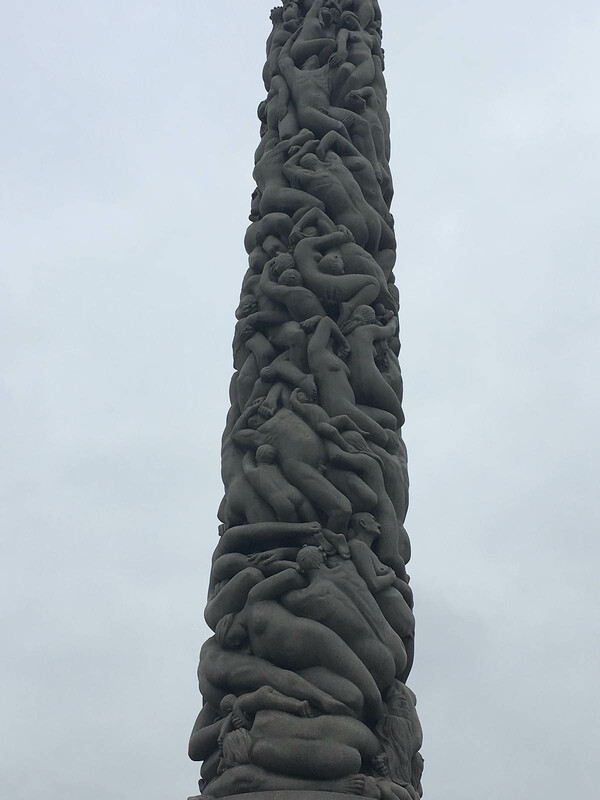 The pinnacle of the park is the 46ft high monolith made up of 121 human figures rising towards the sky and is carved from a single piece of granite. 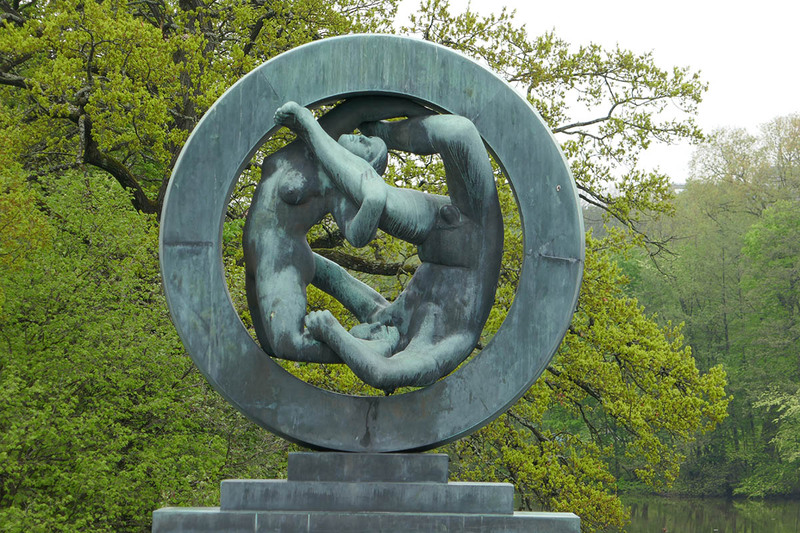 This is designed to represent man’s desire to become closer to the spiritual world, and the people are helping one another to salvation. 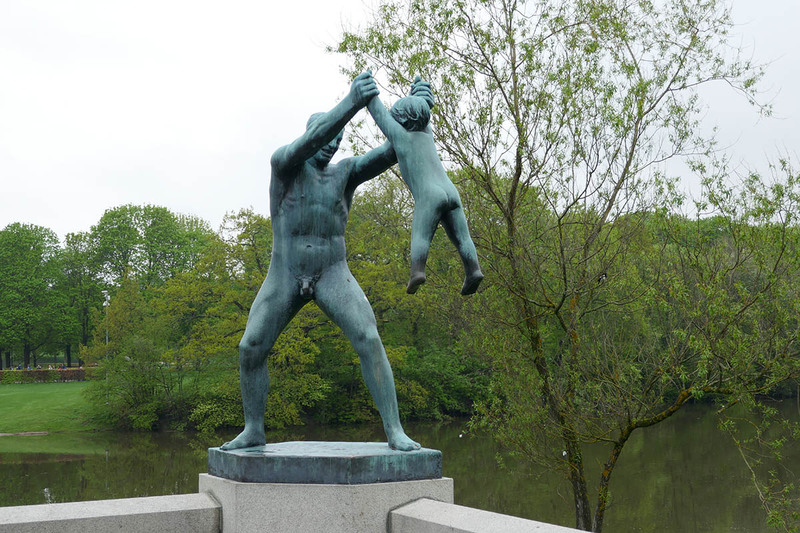 Vigeland died in 1943. 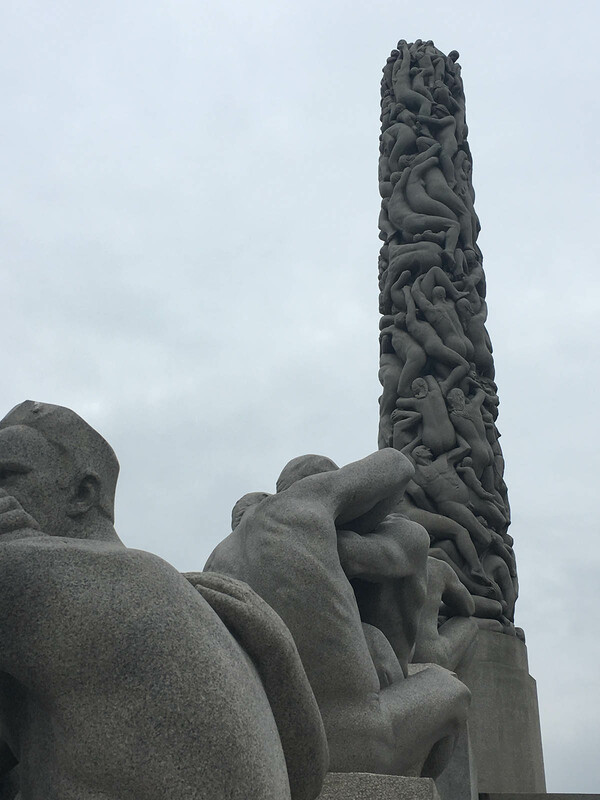 The best way to see Oslo is to walk the streets, and plan on Visiting Vigeland Park in Oslo, Norway, because it is free. I remember Norway being expensive but it must have gone up a lot since I visited. 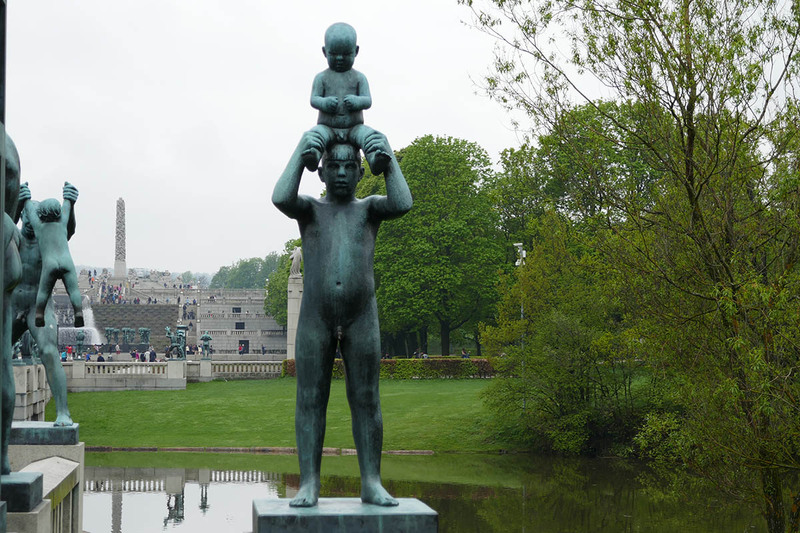 I loved Vigeland park and the family oriented sculptures. 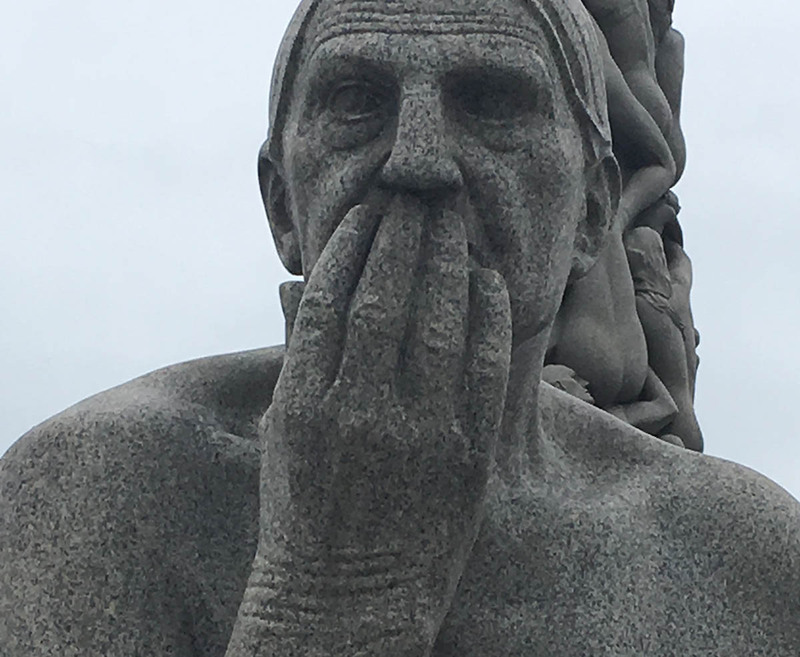 Norway is outrageously expensive. 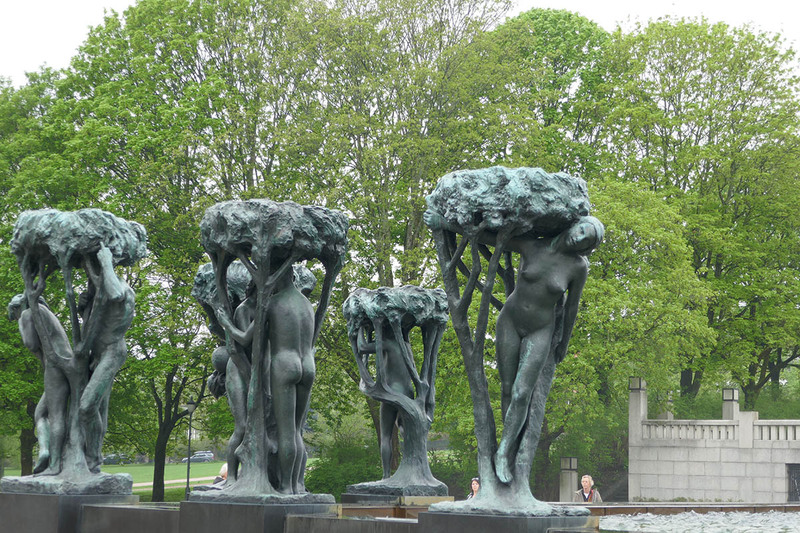 But the Vigeland Park was free at least.